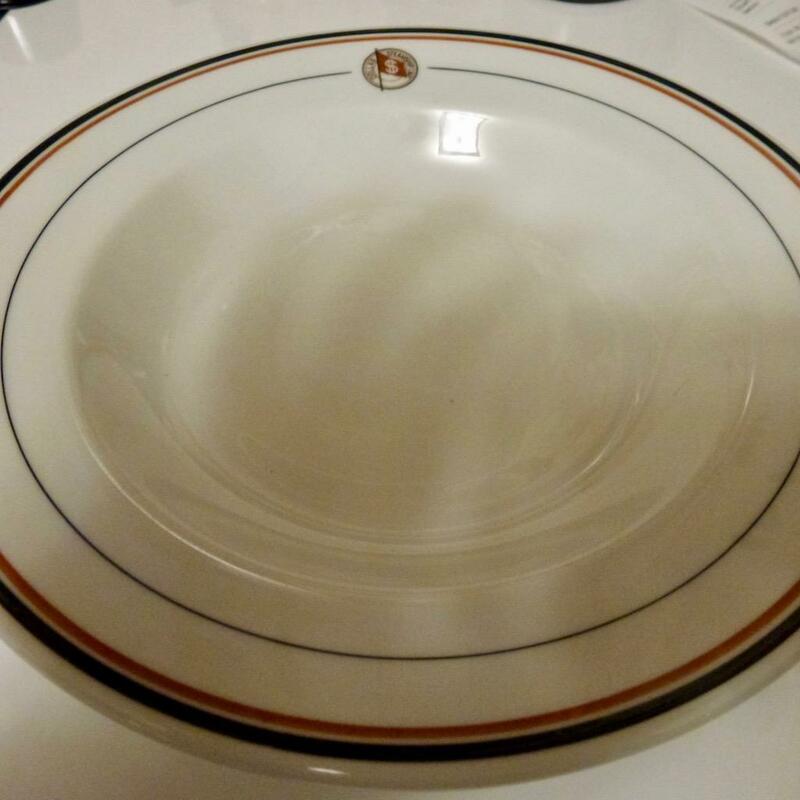 Soup plate, approximately 8.75 inches in diameter with Dollar Steamship Lines logo. O.P. CO, 1928. I've seen these typically sell for between $10-35 dollars depending on condition. If it's in excellent condition $20-35 is average. Thank you. I don't think that they've ever been used. There is a slight mfg defect in one, kind of a short line that is indented on one and a couple of tiny raised spots that look as though there is too much glaze or whatever on the second one. I found them in the Syracuse area; is it possible that they are seconds? Would that reduce their worth? Thanks again for your help. Hi, Yes, any seconds or spots would affect the worth, but they would have to really be inspected in person to see what spots or imperfections are on the piece. It really depends on how obvious to look and feel the imperfections are as far as how much it would affect the value. Sometimes seconds can have no visible imperfections, but still didn't pass the manufacturer's quality checks.